Let’s put aside all the very sad and depressing news that has been in the news this past week. Purim is here and it’s time to celebrate! The festival began at sundown this evening when we went to shul and heard the Megillah (Book of Esther) being read, with the ra’ashanim (greggers) of various sorts – from toy gun caps to bells, whistles, rattling keys, even phone ringtones! – drowning out evil Haman’s name every time it was mentioned; and there was lots of laughter at some of the funny costumes and hats that people turned up in (including yours truly in a very unbecoming blonde wig. ). For your Purim entertainment here are a few funny videos and pictures. How about this for a very strange sight in shul?! 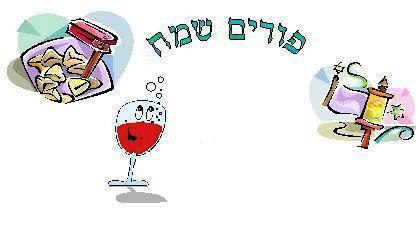 Wishing everyone who is celebrating Purim Same’ach! Happy Purim! This entry was posted in Israel news, Judaism, Slice of Israeli life and tagged Judaism, Purim. Bookmark the permalink.